Our True Alpine ski chalet is ideally situated to gain access to the Espace Diamant ski area, views of which can be seen from the chalet. 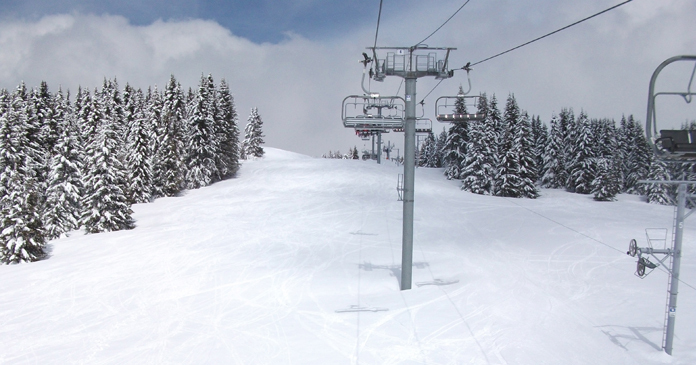 The nearest ski lift is a short 4 minute drive from the chalet. The Espace Diamant is an area which you are going to be hearing a lot more about in the near future as it continues to expand and develop. 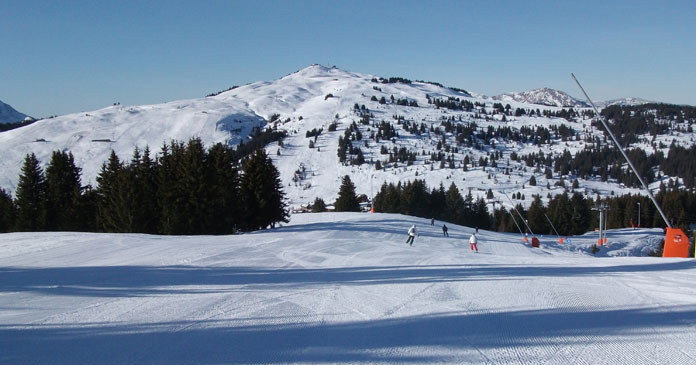 It covers 185 km of slopes and incorporates 5 resorts: Les Saisies, Crest Voland, Notre Dame de Bellecombe, Flumet/St Nicolas la Chapelle and Praz sur Arly and is located just south of Megève. It caters for all levels of skier and it has beautiful tree lined green paths to steep blacks and powder bowls. 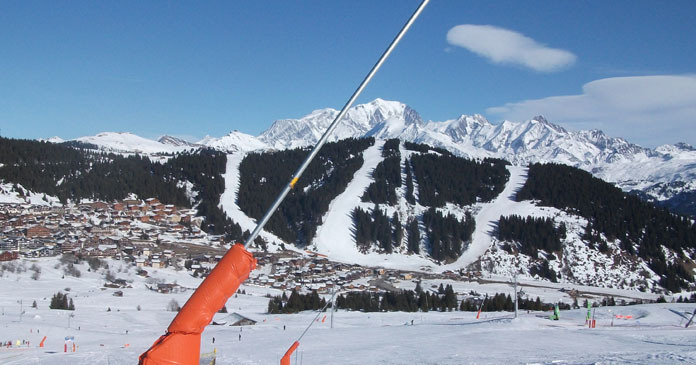 The Espace Diamant enjoys the privilege of being at the foot of Mont-Blanc and Les Saisies in particular has superior snowfalls and maximum sun exposure. The Espace Diamant is currently one of the best kept secrets in the French Alps. (But not for long). Why Ski the ESPACE DIAMANT? Cheaper than main stream resorts. 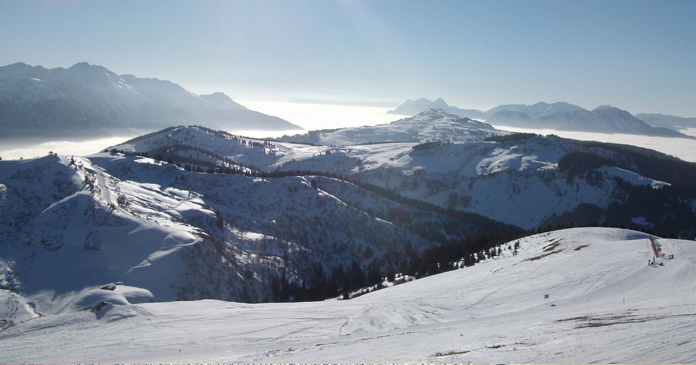 The Espace Diamant is an undiscovered ski area, so we do get asked lots of questions about the skiing and area as a whole. We have put together some answers to the questions that we do get asked quite regularly. Hopefully if you ski with us you will see why we have grown to love this area. Please feel free to contact us if you do require any further information. Q. Your resort is lower than I would normally ski at so what is the snow and skiing conditions like? A. Altitude is always a big discussion topic with regards to snow conditions. Most operators use high altitude in all their publicity to sell holidays. And perceptions are that the higher the ski resort, the better the skiing conditions are going to be but this is not always the case. Higher resorts do get more snow but they do need more snow to cover the rocky terrain. Being at altitude you can suffer from high winds and extremely cold conditions, resulting in hard packed wind slab slopes and poor visibility. Lower resorts can suffer when it is warmer but they do need less snow due to the fact that the majority of the pistes are meadow grass. 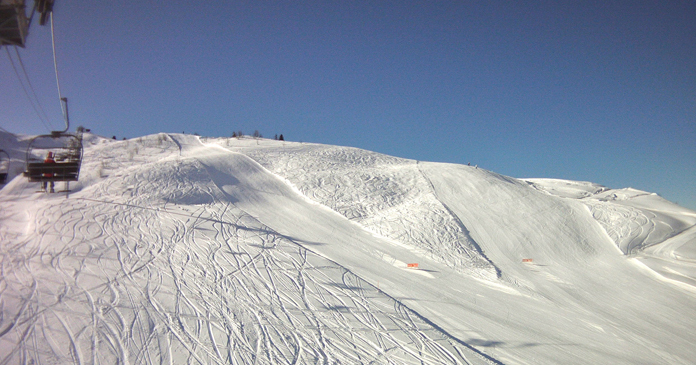 In recent years the lower resorts have adapted to climate change by installing snow making machinery which ensures a good base so people can ski all of the season. 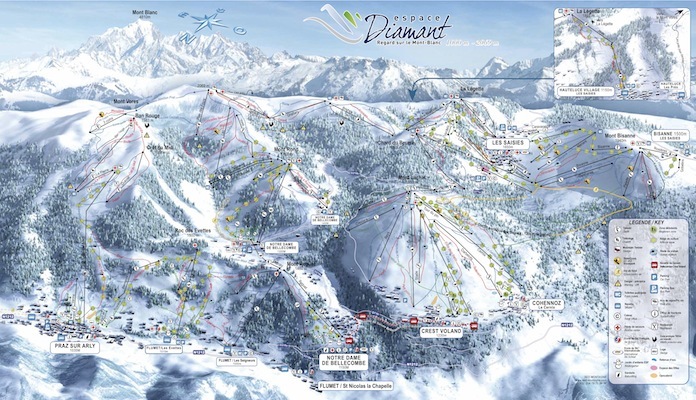 The Espace Diamant ski area’s proximity to Mont Blanc plays a vital roll in the amount of snow it gets during the season. 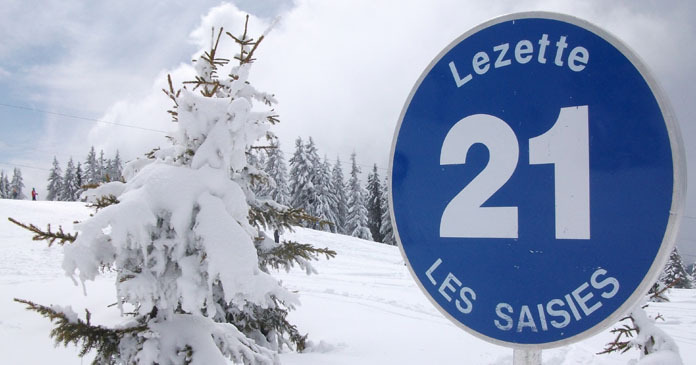 The resort of Les Saisies has one of the top snow records in the French Alps. It enjoys the privilege of being at the foot of Mont-Blanc and has superior snowfalls and maximum sun exposure. 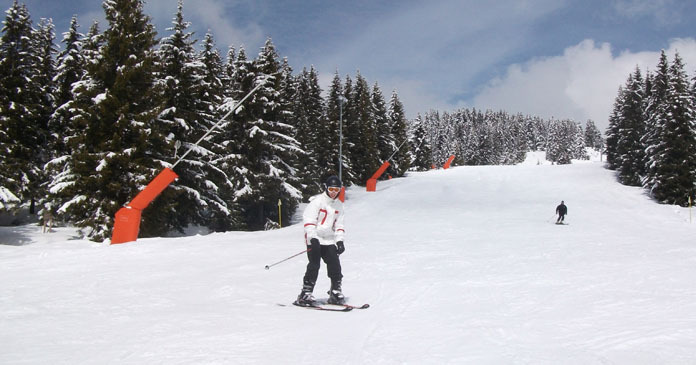 If Les Saisies is suffering with a lack of snow then most of the other resorts in the French Alps will be as well. 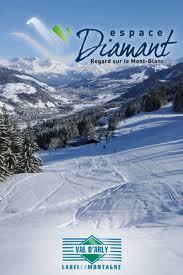 The Espace Diamant is currently one of the best kept secrets in the French Alps. Q. 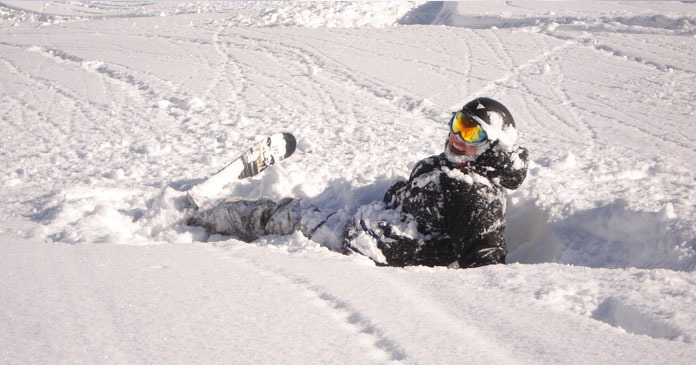 We prefer to go to Ski In - Ski Out accommodation, how does your location compare? A. Ski in - Ski out is always at the top of most peoples skiing agenda and yes it can be brilliant but more often than not, it can be down a steep icy narrow run and you are stuck with it. It is quite often your only route home! What happens if you get tired and are miles from your chalet? The only option is get a cab! The people that look for ski in - ski out accommodation are normally people that have had bad experiences with long walks in ski boots and or catching busy buses on previous holidays. We are better than that. We would even go as far as saying we are as good if not better than ski in ski out! How can that be? As part of our package with the ski companion service, your skis will be loaded onto our vehicle while you are having breakfast in readiness for the groups’ departure. 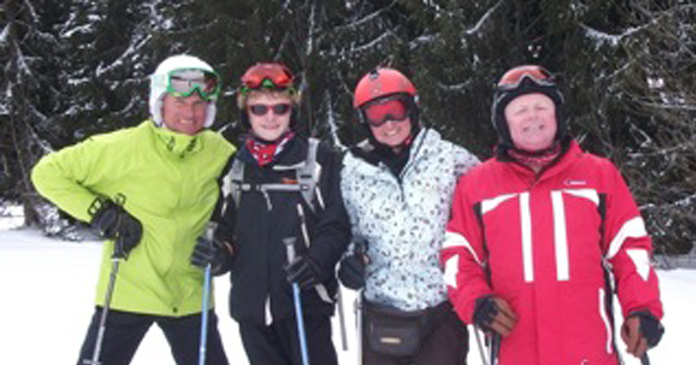 We always take our guests to the best snow and the most suitable slopes to meet their requirements. There is minimal or no walking. 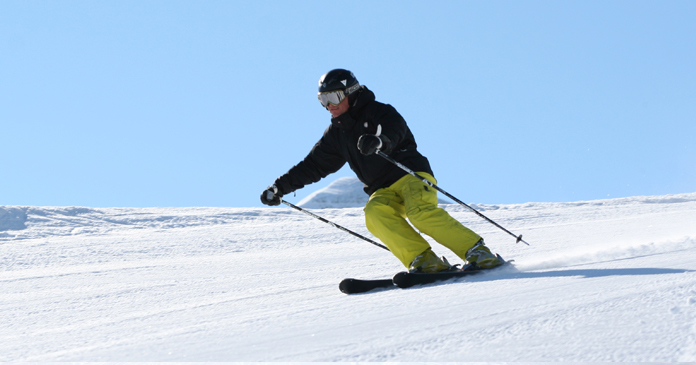 We judge your skiing ability to maximise your day and avoid tiring home runs. If you do get tired and have had enough skiing and want to stop, we will take you to a restaurant for a hot chocolate or warm wine and return with the vehicle to pick you up. After a short drive back to the chalet, your skis are unloaded whilst you relax in front of a homely fire eating the freshly baked cakes. Your skis are placed in secure warm storage so they will be ready for action the next day. 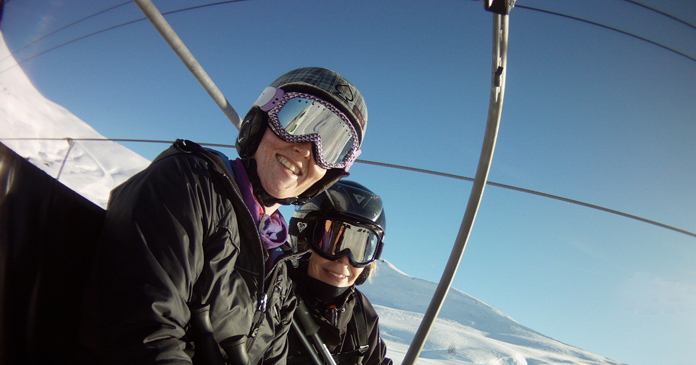 Ski in – Ski out or Ski Companion? Copyright © 2010, True Alpine. All rights reserved.